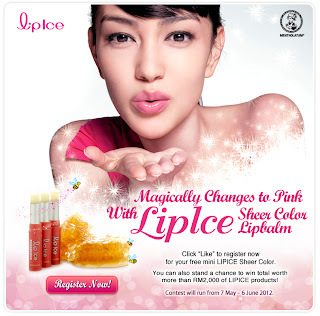 Register now for your free mini LIPICE Sheer Color. You can also stand a chance to win total worth more than RM2,000 of LIPICE products! Contest will run from 7 May - 6 June 2012.